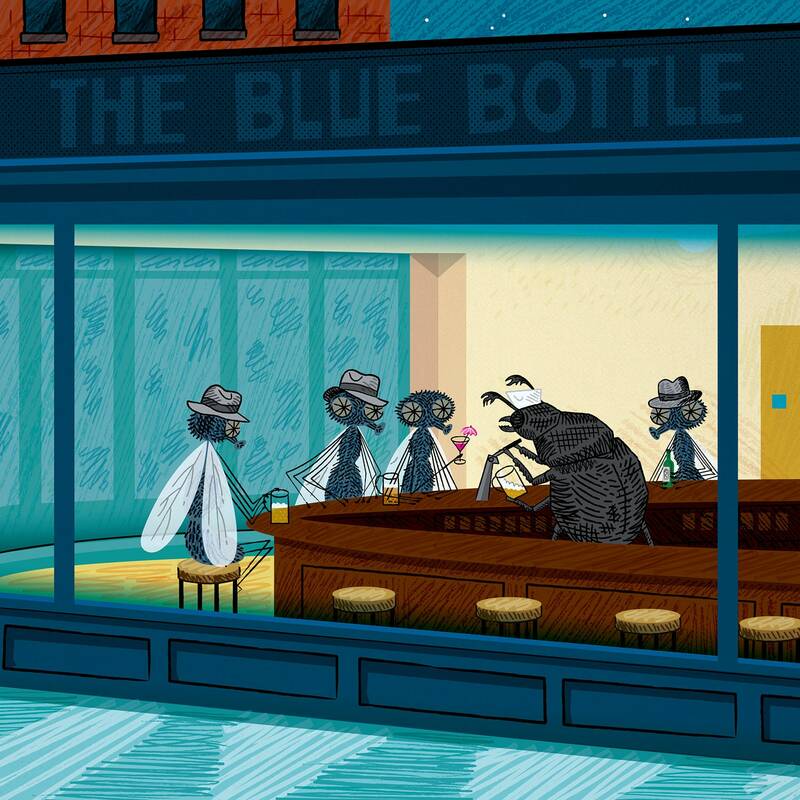 A limited edition illustration titled - 'Barflies' printed on the finest archival matte canvas paper. This is a 220gsm Heavyweight canvas textured effect paper. The surface has a canvas texture and the colours of the print, are extremely strong and vibrant. The print is part of a limited edition of 1000 and comes numbered, signed and titled by hand by the artist. The print will be sent safely packaged in a sturdy postal tube and comes with a white border ready for framing. Please make your payment within ten days of making your purchase or the order will be cancelled. I ship to all countries, shipping is automatically calculated prior to submitting your payment information. Simply add items to your cart and proceed to the Checkout page where you will be offered Shipping Method choices and their prices. I will ship your order shortly after I receive payment from you. If you are unhappy with your purchase when you receive it, items must be returned within 7 days of receipt, in original condition. Please contact me for more information. If you have any queries. please contact me at: iotaillustration [!at] gmail.com or message me on etsy. I'll be happy to help.